Bob D. Johnston, age 82, Joplin, passed away on Friday, March 16, 2018 at Spring River Christian Village. Bob was born August 25, 1935 in Seneca, Missouri, son of the late Ben and Myrtle Kay Johnston. 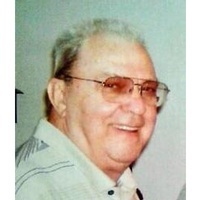 Bob was a lifelong resident of the Joplin area. Bob was united in marriage to Rose Moeder on October 5, 1953, making their home in Joplin where they raised their four children. He worked and retired from Fleming Foods. He was also member of St. Peter the Apostle Catholic Church. Survivors include his wife of over 64 years, Rose Johnston of the home; children, Gregory Johnston, Michael Johnston, Cindy Maggard and husband Art, and Brian Johnston and wife Beverly; 11 grandchildren, 17 great-grandchildren; sister, Norma Sparks of Seneca; several nieces and nephews. A prayer service will be held on Wednesday, March 21, 2018 at 6:00 p.m. at Parker Mortuary with visitation to follow. A Funeral Mass will be held on Thursday, March 22, 2018 at 10:30 a.m. at St. Peter the Apostle Catholic Church with Father J. Friedel officiating. Interment will follow in Ozark Memorial Park Cemetery with grandsons serving as pallbearers.